Colleagues said Volpe was a walking encyclopedia of Nassau police regulations who would fight vigorously for the safety, wages and training of his operators. 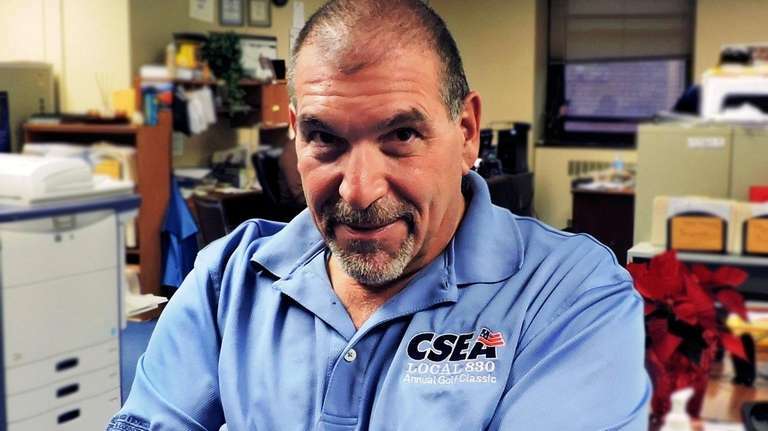 Gary Volpe, a longtime Nassau Police civilian employee and union leader who advocated for improved training for 911 operators and raised concerns that the county’s emergency call center was dangerously understaffed, died July 28 in an ATV accident in Pennsylvania. He was 59. Volpe, unit president of the Civil Service Employees Association Local 830's 911 operators unit, was thrown from an all-terrain vehicle around 9:30 p.m. Saturday in the Pocono Springs residential development near his home in Gouldsboro, Pennsylvania. An autopsy by the Wayne County Coroner's Office said Volpe suffered "multiple traumatic injuries" and was pronounced dead at the scene. Volpe, who also served as a CSEA vice president, had worked for the county since October 1996, first in the treasurer's office and for the past 20 years with the police department as a dispatcher and 911 operator. For the past decade he ran CSEA's Police Communications Operator unit, representing civilian members of the Nassau police department. In 2015, Volpe raised concerns that Nassau's 911 call center in Westbury was understaffed after residents complained they were put on hold for up to four minutes. The police department said the claims were exaggerated and that 96 percent of all 911 calls were answered within 10 seconds. "Gary was intense and fierce," CSEA president Jerry Laricchiuta said. "He really believed in fighting for the underdog." Born and raised in Plainview, Volpe was the youngest of three children born to Angelo Volpe, an engineer, and Carmella Volpe, a retail associate. An older brother, Charles Volpe, died in a car accident in 1970. Volpe graduated from Holy Trinity High School in Hicksville and later worked as a private coach bus driver before suffering a back injury. Audrey Balzano, 62, of Farmingdale, Volpe's sister, said her brother was an avid outdoorsman who loved fishing, hunting and skiing with her son, Michael. "He was a warm and generous person," Balzano said. Michael Balzano, 33, of Kings Park, said his uncle enjoyed "the simple things in life. I will miss his loving personality. He had a way about him that made everyone want to be in his company." Bennie Mastro, 49, said Volpe, his partner of 15 years, loved to cook, entertain friends and fix up their home. "He was a loving man who always put everyone before himself," Mastro said. In 2005, Volpe helped organize a class-action lawsuit on behalf of 150 female 911 operators and supervisors who said they were paid less than Nassau fire communications operators — nearly all of them men — in violation of the state's Equal Pay Act. A federal court awarded the women $7.8 million in back pay and step pay. Male 911 operators later filed suit arguing the women were then paid more than them. The 30 current or retired male 911 operators were later awarded $2.5 million. In 2013, Volpe organized a suit against the police department contending the department failed to train 911 operators on essential training procedures, including how to handle hostage situations, despite obtaining state grants earmarked for it. The suit came in the wake of the accidental shooting of a Hofstra student during a 2013 home invasion robbery. Andrea Rebello, 21, of Tarrytown, was shot and killed by Nassau police officer Nikolas Budimlic as armed parolee Dalton Smith used her as a human shield. Danielle Davidson, a police communications officer supervisor, recalled Volpe as a generous individual who would bring in boxes of fresh vegetables for his colleagues. "He would give you the shirt off his back," she said, "even if it was the last shirt he owned." Volpe is survived by his partner, sister, nephew, and godmother Cathy Caruso. A funeral service will be held at 6 p.m. Fridayat the Carlucci-Golden-DeSantis Funeral Home in Dunmore, Pa. A service in Nassau is being planned for later this month.